Classy, artsy and comfy: the unisex mojris and Oxfords from Desi Hangover are examples of excellent craftsmanship. 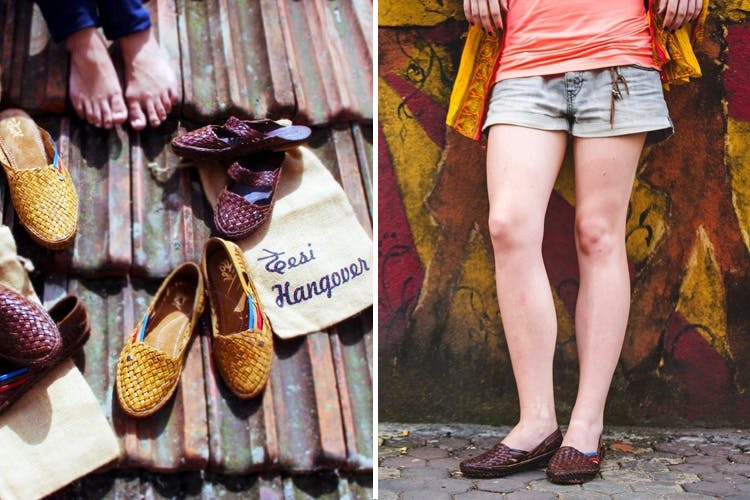 At Desi Hangover, every pair of shoes is handcrafted by the artisans of Chambhar community, thus giving them a platform to showcase their 800-year-old art form, employment opportunities and education for their children. Coming back to the collection, Desi Hangover’s slip-ons, mojris and Oxfords have gained appreciation worldwide. Catering to men and women, the indie shoe company tries to keep it simple yet elegant with the collection – from tans to browns, navy blues, dijon and canary, and even charcoal black, the colours are every millenials fave. For women, we could spot a couple of reds and maroons in the collection. Priced between INR 2,495 and INR 3,195, shop your own pair of Desi Hangover from here. Don’t forget to team them up with your semi-formals and ethnic wear! Want to check them out live? Desi Hangover showcases their collection in many flea markets including Wassup and Za Palooza. Make sure you follow them on Instagram for all the deets.